Sales of construction equipment in Europe grew by 15 % in 2017. In the first three months of this year, sales continued to grow. CECE expects another 5 to 10 % increase in 2018 in Europe with some markets experiencing historically high-level of sales and marking the fifth consecutive year of market expansion. 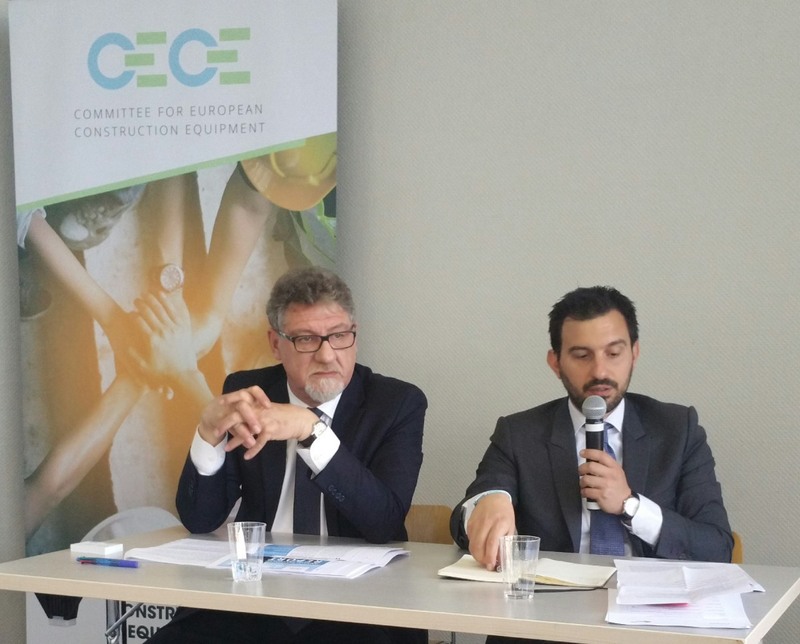 “This is a very good economic environment for Intermat to take place”, said Enrico Prandini, CECE President at the CECE press conference in Paris/France on 24.04.2018. He added that the trade show would definitely give the companies another push especially from customers from the booming French market and the French communities in the MENA region. Isabelle Alfano, Director of Intermat, who was optimistic about the show, also confirmed Prandini’s estimate. The main findings of the Annual Economic Report were presented in a new CECE animation video, shown for the first time to the press. However, Prandini pointed out that one of the limiting factors to the industry’s success was a limited market surveillance. Construction machines are still coming to and are in use in the European Union without fully complying with the relevant legislative framework. Once again, CECE and CISMA – the French construction equipment industry association – carried out the usual market surveillance tour in the closed halls of Intermat on Sunday. Experts checked over 45 different machines from 29 different brands, recording a 25 % rate non-compliance with EU-applicable regulation. Those incompliances occurred in the areas of accessibility, visibility and handling, and thus mainly concerned the safety of operators. Prandini stressed that these are too many. “Market surveillance is an essential pillar of the internal market: without appropriate controls on compliance, requirements are of very little value.” He continued that CECE thus welcomed the EU Commission’s recent proposal called “Goods Package” to reinforce trust in the Single Market. It aims to strengthen compliance and enforcement of EU product rules and mutual recognition. On 23.04.2018 at Intermat, CECE hosted Ms Barbara Bonvissuto, Head of Unit for advanced engineering at the European Commission and MEP Anne Sander, Member of the economic affairs committee of the European Parliament. 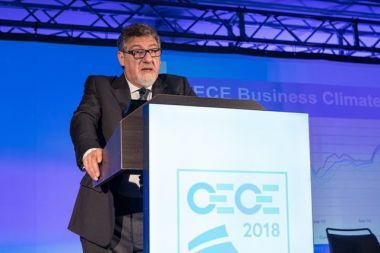 “We gave them the opportunity to get a better picture of the European high-tech construction equipment industry, its efficiency and technological standards as well as the challenges it sometimes faces coming from European regulation that is not always business-friendly” said Riccardo Viaggi Secretary General of CECE. One of the priorities in Prandini’s 2-year presidential mandate is to tackle the industry’s three major challenges of the future: rapid technological changes, digital construction and mismatch between skills, jobs and education in Europe. “It absolutely makes sense to join forces with the customers and their representatives European associations and find solutions along the value chain”, said Prandini, “this will be a major key factor for success in the future”. 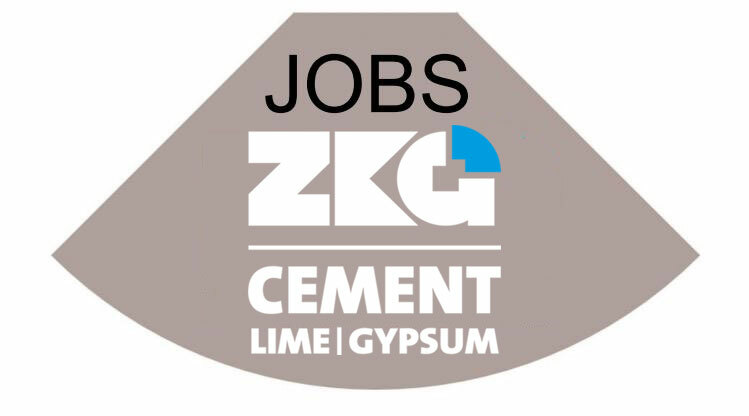 To create a common vision will also be the theme of the CECE Congress, a cannot-miss biennial industry gathering. As Italy currently holds the CECE presidency, the Congress will be held in Rome/Italy from 17.10.-19.10.2018. The political year in Brussels will be mainly impacted by the forthcoming European elections in spring 2019. “In this framework, we should seize the opportunity to gain more visibility, attention and impact”, pointed out Prandini. In the run-up to this key democratic moment, CECE will also issue a Political Manifesto to guide the choices and the priorities of the next European legislature. CECE will keep promoting the idea of fair competition and free trade for all market players in Europe and globally. “We will call on sensible evidence-based and innovation-enabling regulation. What we have to avoid is unneeded complexity in laws and regulations”, said Prandini.